Hello all! It’s already Valentines week! :) I'm back again with another Valentine's Day card. 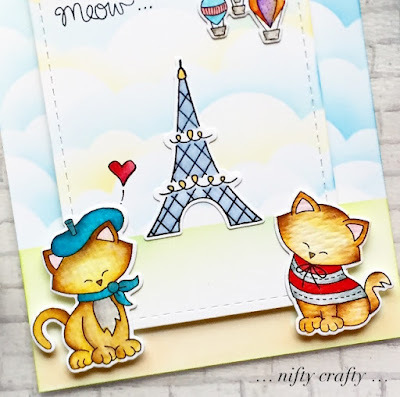 I made this cute love scene card using Newton Dreams of Paris stamp set. This is such a fun set with lots of adorable and sweet images. For this card, I stamped and colored the eiffel tower, hot air balloons, the cute Newton and his girlfriend using distress inks. To add little shine, I heat embossed the tower using clear embossing powder. Then, I cut the images using their coordinating dies from Newton Dreams of Paris Die Set. Next, I used the stitched rectangle die from Frames & Flag Die Set to create a focal panel and picked a white card stock as the base card. To create the sky background, I cut a piece of white card stock using Sky Borders Die Set and inked the background with Salty Ocean and Mustard Seed distress inks. I did the same for the base card but used only Salty Ocean distress ink. This card is so adorable! I love the lovely sky and the sweet little scene you created with the two kitties! Perfect for Valentine's Day! 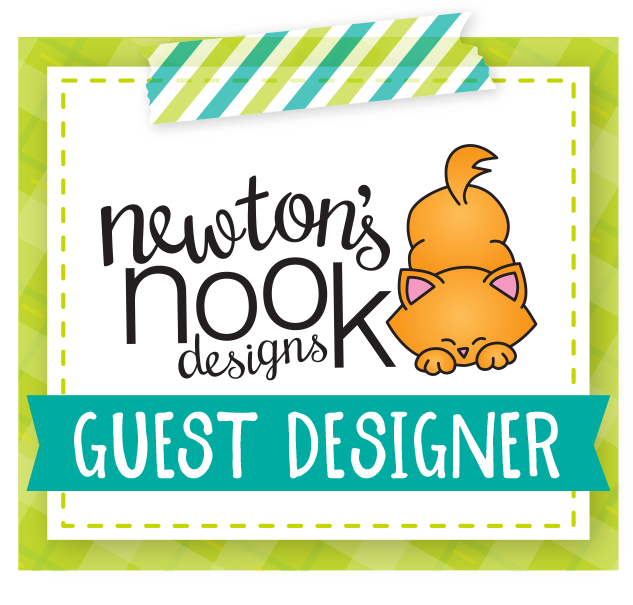 Thank you so much for being our guest this month!